This is a review of the recent movie “IT” which is a moving allegory for a Small Business trying to grow whilst facing a range of fears that it has based around issues with Information Technology and the clowns that are found in Small Business IT. The plot of the movie shows a group of kids, each representing different departments of an up and coming small business. One department sadly is lost when it goes chasing it’s paper boat down a drain and meets the IT Clown – a clever reference to a customer data breach that is both striking and poignant, showing how easily it can happen, how unsuspecting so many people are and the tragic consequences it can have. The tragedy of the data breach, like in real life, deeply effects everyone and comes back to haunt them towards the end of the movie. The movie follows the Departments as they try to band together to defeat the IT Clown as it starts to appear in different manifestations, each representing a important Small Business fear. Sometimes the kids are lured with bright red balloons, signifying the often promised but seldom delivered projects of IT clowns. These appear so exciting and simple when first explained, but rapidly run into a nightmare that frequently makes the balance sheet to run blood red. 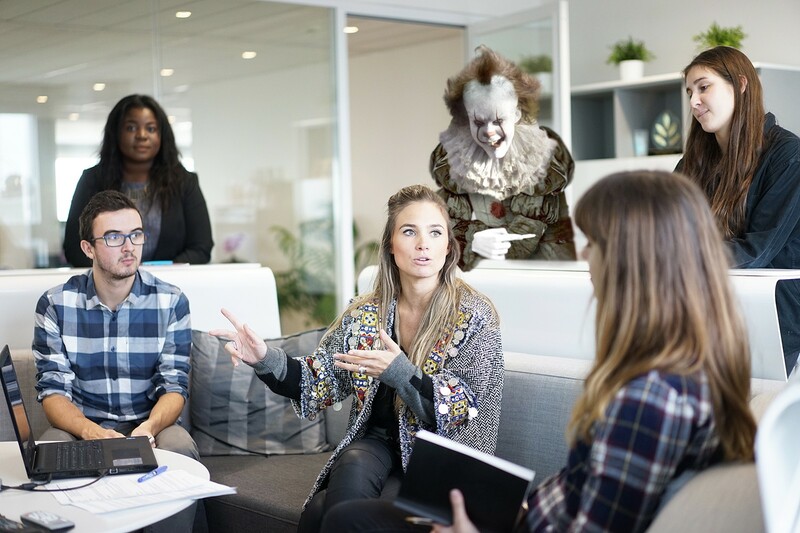 Lack of experience, lack of project management, lack of risk management and lack of understanding of the role of IT in small business are all recurring themes throughout the movie as the kids struggle to kill of the IT clown. As Georgie at the start of the movie finds, Clowns can be lurking anywhere and can appear in the most unexpected of places and it is up to everyone to be vigilant for the appearance of an IT Clown. 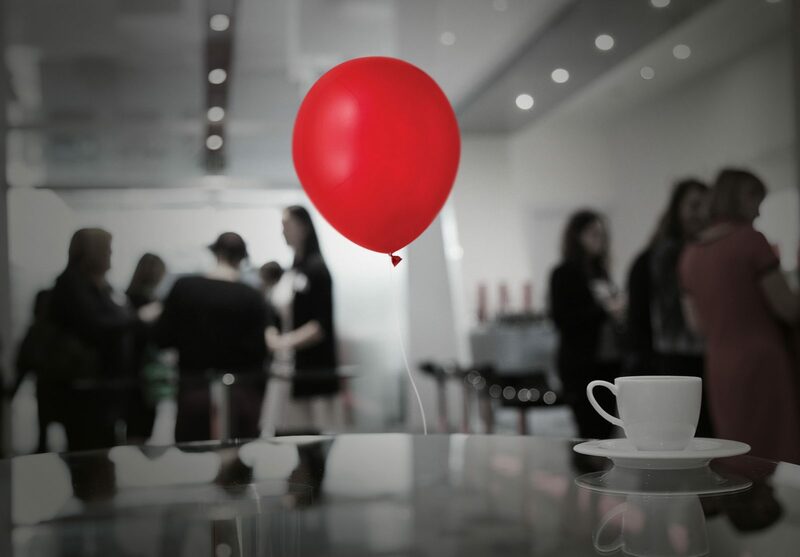 We’ve categorised the different types of clowns that you may find in your organisation or in your outsourced IT company. The one man band clown: An old favourite, has been looking after the company for a long time but whenever they go on holidays, they take all the information with them, and they are notoriously bad at never documenting anything. Being the one man band clown for multiple business means that you may be waiting 2 or 3 days for a response for even the most basic change request. The jack of all trades clown: This is the faithful outsourced or insourced IT guy or gal who knows everyone, who knows everything and does everything. Generally the clown is quite good at routine support, but this clown creates issues whenever they are asked a question outside their area of expertise. IT is a big area of knowledge and the clown who can answer “How can I reindex my SQL server”, is highly unlikely to be able to answer “How can we integrate the Facebook Pixel information with our CRM system?” Sadly, this clown very rarely answers “I don’t know” They are much more likely to say, “That can’t be done,” leaving the business unable to keep up with their competitors and missing out on key functionality. 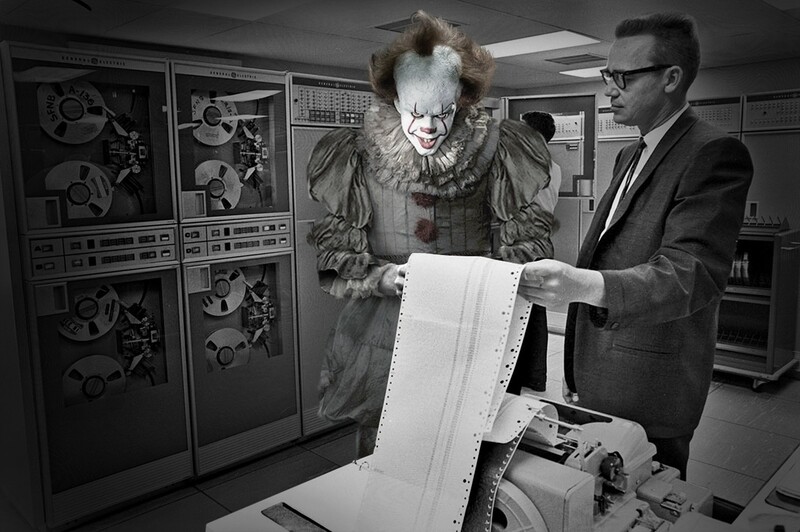 White box clown: Having grown up building their own PCs, these are the Peter Pans of the IT Clown Pantheon – having never grown up. They are still content spending 12 hours to source and build their own PCs for everyone in the company so they can save $146 per PC by buying random parts from a selection of online stores. Warranty claims are covered with “Don’t worry, I’ll build another up for you know.” These clowns also have a predilection for Linux on the desktop and Open Office. The Certified Magazine Reader Clown: This clown subscribes to a range of esoteric magazines and each month will pronounce. “We need to move to this new system I just read about.” This will be his single focus for the next 3 1/2 weeks until he reads another interesting magazine article about a technology that is barely out of alpha and operates around 3 completely unproven business theories and built upon 4 unproven technologies. His only saving grace is that he never implements anything. By the time he is about to get the quote approved, he needs to pull the budget for some different system which is 25% better than the one just read about. The cloud clown: “Upload all of your data into the cloud, now, before it is too late!” This is the catch cry of this clown. The fact that the concept of “the Cloud” is a nebulous as the savings it offers are ignored by this clown as are the legal and reputational risks that have scared many a Board Director witless. 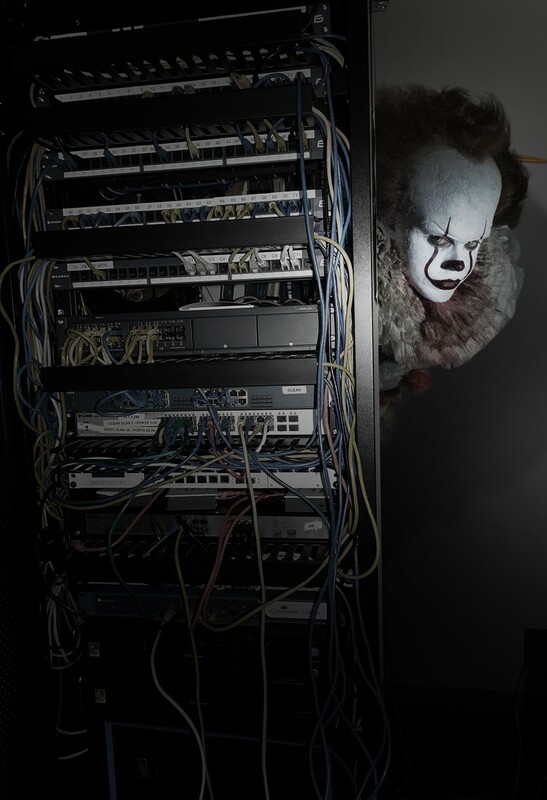 IT Clowns and Servers infrastructure don’t mix! It can create an IT nightmare for you. The Evil Double Hatted Clown: This Clown lives it’s own nightmare and projects it onto others. Having some other job in the company, they are stabbed with IT and the power goes to their head. They assume the rights and responsibilities of Systems Administrators, Database gurus, Privacy experts and Security Gurus, proclaiming random edicts like “All passwords need to be 48 characters long” and “We now no longer support Line of Business Applications”. Whilst their passion is clear, their inability to listen or understand the needs of the business departments creates an IT department whose goals are to laud over everyone else by becoming more and more powerful and controlling so much information and some many business processes that they become immortal, never being able to be killed off. The “should of retired 5 years ago” Clown: This clown loves SBS 2003. It has served him well since he first installed it. Sure, it needs a reboot every second day. It does seem get Cryptoed every couple of weeks, but apart from that it’s been rock solid. Now if only he could do something about that 12 year old IBM xServer that is is running on which blue screens every day….. These nightmares occur with increasing frequency until it dies completely for one final time, often taking all of the company data with it. The no money clown: This sad clown works at a barely functioning company with no budget for IT, or works in a company where the IT budget gets “reallocated” to boost the owners already impressive collection of antique American muscle cars. Either way, he spends most of his hours band aiding the band aids that fall of from time to time. The IT just takes care of itself clown: This clown think that if you get 3 cloud apps, 2 IT companies, an outsourced CIO and an account on Reddit, then you are creating a cutting edge IT plan to see the company into the next 5 years. The backups, patching, security, training and governance will all just take care of itself. This leaves him plenty of time for golf, coffee and wasting the time of the other departments. He can often be seen driving around in the official company corporate colours IT Clown car and getting people to sniff his joke flower / water pistol he wears on his lapel. It all works really well until a patch isn’t applied, leaving a vulnerability for a hacker who encrypts the data and backups which no one ever bothered to check anyway. After that he disappears and usually reappears looking for a job at a company with larger infrastructure to manage. Clowns have been in IT since the development of the first clowns. The on Premise clown: The antithesis of the Cloud Clown, he believes that all data must be kept under lock and key within the building and the backups kept secure on the back seat of the owners car. Any data that leaves the building is susceptible to DDoS, hacking, hi-jacking, cracking and fracking from organised crime groups, extortionists, 17 year old hackers from Norway and/or the CIA. The movie highlights the need to be ever vigilant for the appearance of IT Clowns, with the clown, even after being killed, reappearing 27 years later, just like in real life. Even though you may have fired the internal IT Clown or gotten rid of the outsourced IT Clown, there are plenty more of them out there and everyone in your company needs to be ever vigilant. Remember, IT Clowns aren’t funny, are very scary and can cost you a lot of money. You don’t want to be Pennywise and pound foolish. 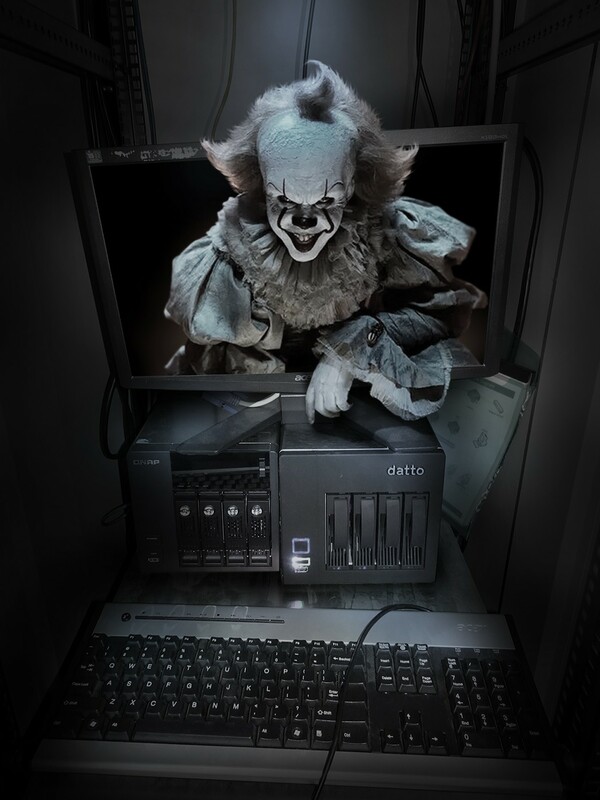 If you are scared of IT Clowns – call Extreme Networks on 03) 9785 7162, because IT Clowns are no laughing matter. IT Clowns will often use a number of toys and gadgets to distract people from their lack of skills.